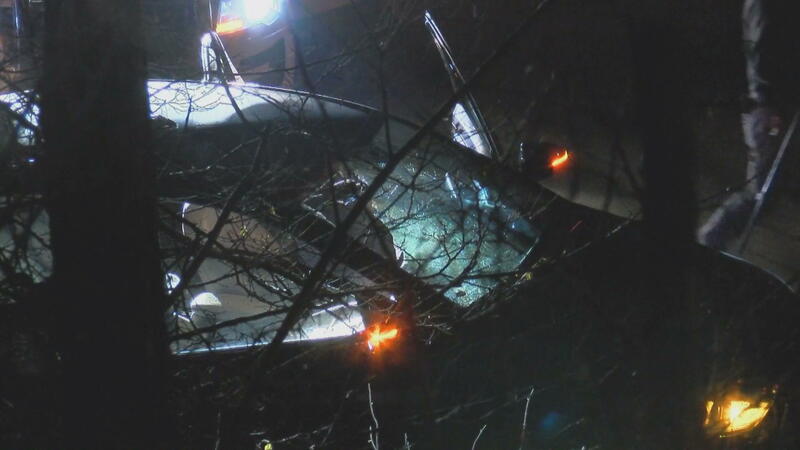 TOLEDO, Ohio -- The Ohio Department of Transportation is planning to require fencing at some overpass construction sites after a Michigan man was killed when a sandbag was tossed onto an interstate and smashed through a car windshield. The department is drafting a new rule that would require temporary fencing when workers remove permanent barriers at overpasses that are being rebuilt. The change comes after 22-year-old Marquise Byrd, of Warren, Michigan, died on Dec. 22, three days after a car he was riding in was struck by a sandbag tossed from an overpass onto Interstate 75 in Toledo. Authorities have charged four teenagers with throwing the sandbag and other objects at cars. Their arrests came nearly two months after a similar incident near Flint, Michigan. Five teens there are facing charges of second degree murder after throwing rocks off an overpass, hitting a vehicle and killing 32-year-old Kenneth White. The Ohio bridge where the sandbag was dropped had fencing, but much of it was removed for a reconstruction project. A year ago, the state agreed to increase the number of highway overpasses with fencing. Plans called for adding permanent fencing to about 160 overpasses over five years at an estimated cost of just under $1 million per year. Ohio agreed to add the fencing at the urging of a man whose wife suffered brain damage when teenagers dropped a rock from an interstate overpass onto their car in central Pennsylvania in July 2014. The four teenagers were sentenced to prison in the case. The teens in Ohio who are charged with murder and vehicular vandalism in the Michigan man's death were in court last Thursday after earlier entering pleas of denial to the charges. Lillian Diallo, an attorney for the victim's family, told The Blade newspaper that Byrd had a 2-year-old son and was planning to propose to his girlfriend. She said the teenagers should have been home instead of out late on the night the sandbag was dropped onto the interstate. "You dropped a 30-pound sandbag over an overpass," Diallo said. "Where is your conscience? Where is your morality? How could you do that to another human being?"